Accident victims have so many concerns—about medical procedures, about money, and their jobs. We don't think they should have to worry about how they will afford top-notch legal representation. 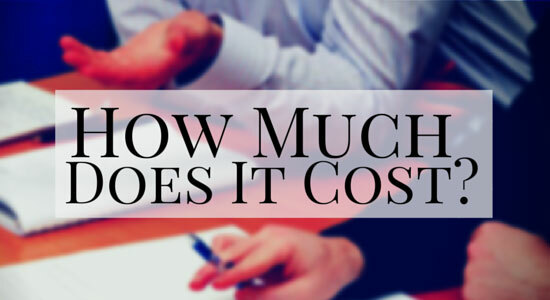 That's why we offer a free case review and cover all up-front costs associated with your case. When we say, "There's never a fee unless we get money for you," we mean it. Filing a legal claim—and the legal process in general—is complex and confusing. For accident injury victims unfamiliar with the legal system, understanding what to say, what to sign, and where to begin can be overwhelming. That's where our law firm comes in. When you call us, our experienced legal professionals will answer all of your case-related questions, and help point you in the right direction. During your free consultation, our legal team will ask you questions about your accident and injuries, help determine if you have a case, and walk you through what to expect moving forward. If you or someone you care about has been seriously injured in an accident, please know that you have nothing to lose by calling us for your free legal consultation because with us, there's never an obligation to use our services. In addition to your free case review, when you hire Edgar Snyder & Associates, you won't have to worry about being charged with any fees unless we win your case. That means we will cover all the costs associated with building your case. At Edgar Snyder & Associates, we work on what's known in the legal world as a contingency fee—term that means we'll handle all the upfront costs and provide all the resources necessary to prove your case. It also means that we don't receive a penny unless we win your case. Because we work this way, you can rest assured that with us, you'll never be treated like a claim number. Our entire staff—from our attorneys, to our paralegals and investigations professionals—will treat you with the respect you deserve. Our legal team will keep you updated on your case every step of the way in plain English that you can understand. We've kept this promise to our clients for over 30 years: There's never a fee unless we get money for you. Please, if you or a loved one has been injured in an accident and concerns over the potential costs of hiring an attorney have kept you from seeking legal advice, let us help. Let us get you the compensation you deserve—money for medical bills, missed paychecks from time off work, and pain and suffering. We're available 24-7. Call us today at 1-866-943-3427 for a free case review.